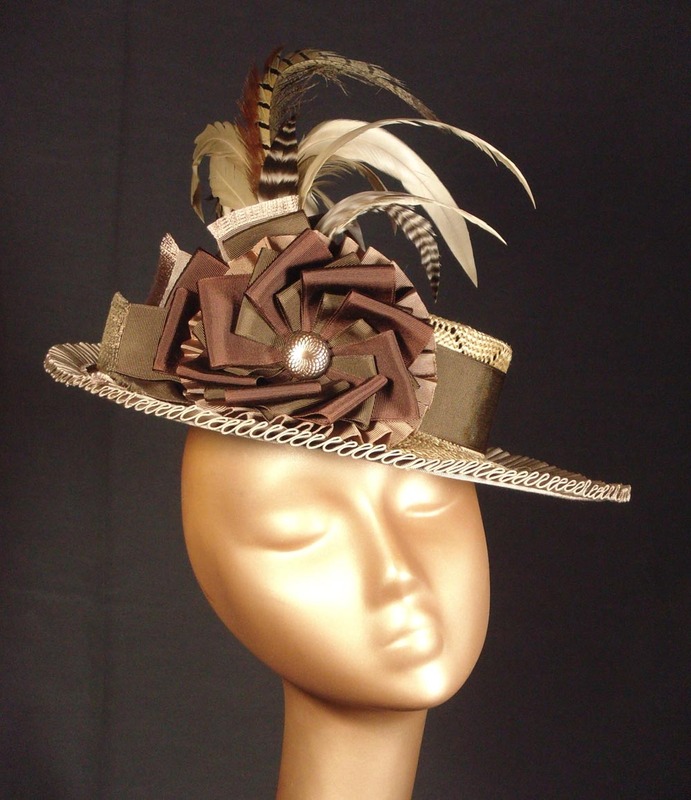 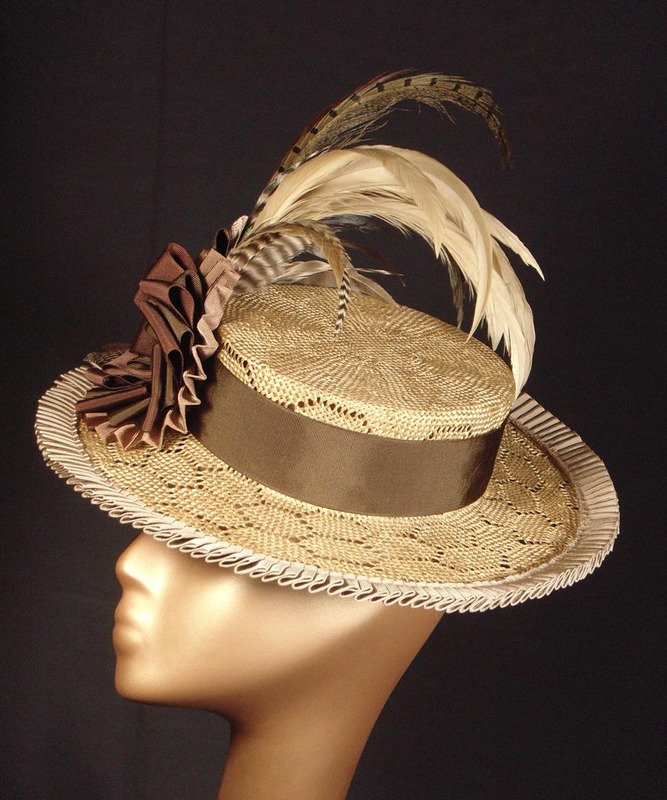 A 'Marie' boater in brown tones, perfect for all those picnics and garden parties you have coming up. 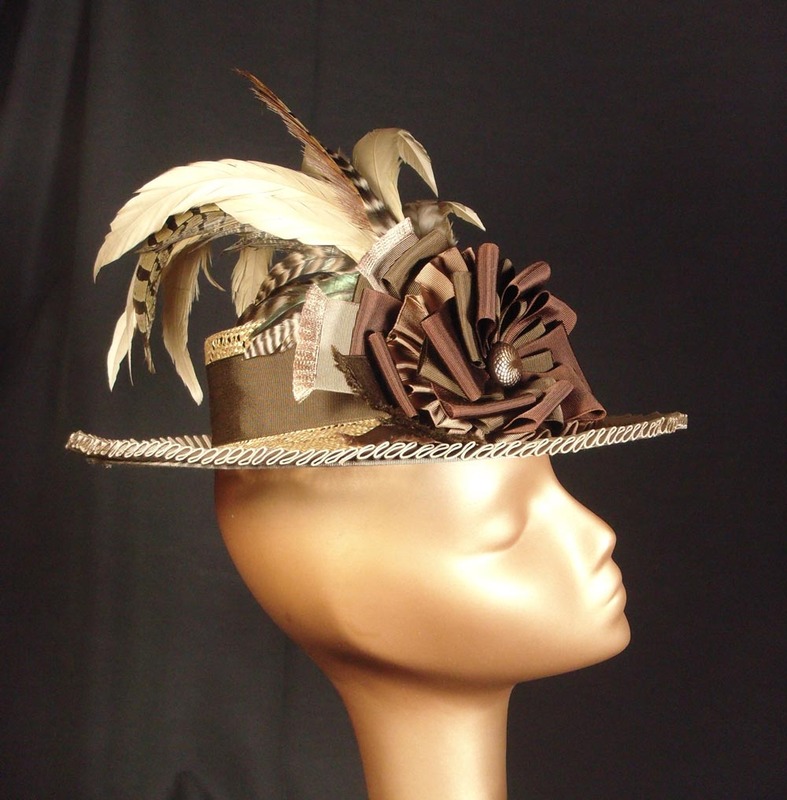 Or if you don't have any yet, it's a hat to make you plan some. 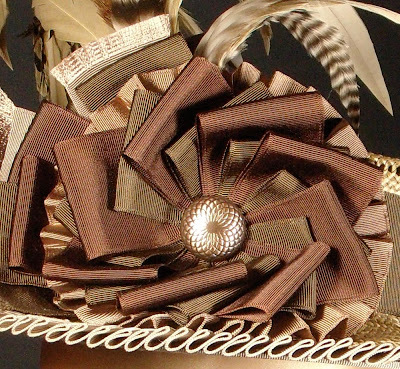 Just listed on Etsy & Smashing Darling. I'm working now on a bridal 'Marie' in white and ivory, and also reworking the 'Emily', the narrower boater, with better feathers and also in bridal colors. Photos coming soon.